Foundation's Chairs, CASAs are 'Persons of the Month' – April 2018 | Command and General Staff College Foundation, Inc. 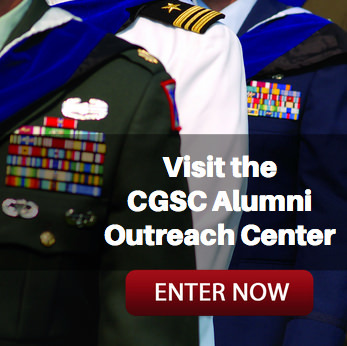 The CGSC Foundation has selected Lt. Gen. (Ret.) Robert Arter, Chair Emeritus, and current Foundation Chair Michael D. Hockley, as the “Persons of the Month” for April 2018. Arter was the Civilian Aide to the Secretary of the Army for the east region of Kansas from Nov. 11, 2005, until March 23, 2018, when Hockley accepted Army Secretary Mark Esper’s appointment for the position. Lt. Gen. (Ret.) 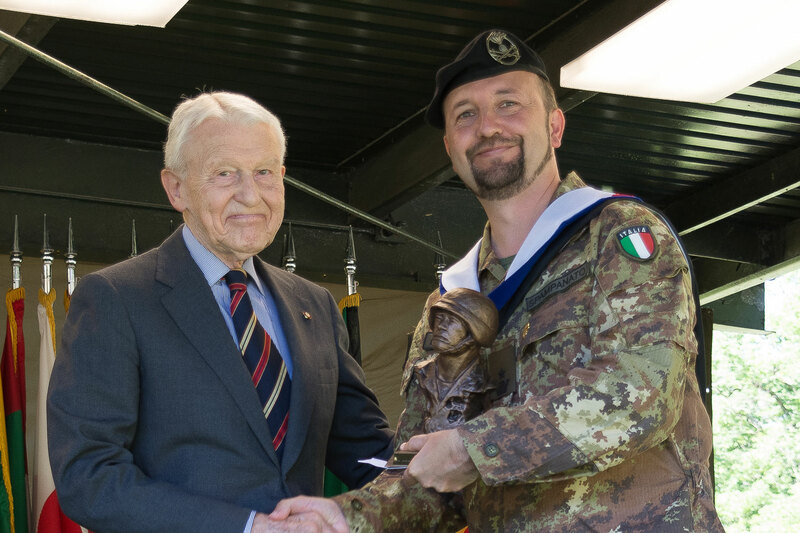 Arter presents the Arter-Darby Military History Writing Award to Maj. Roberto Spampanato from Italy during the CGSOC graduation June 9, 2017. Arter personally supports this award as well as the Arter-Doniphan Award presented to the member of the class who has earned the highest overall grade point average for the year. Lt. Gen. (Ret.) 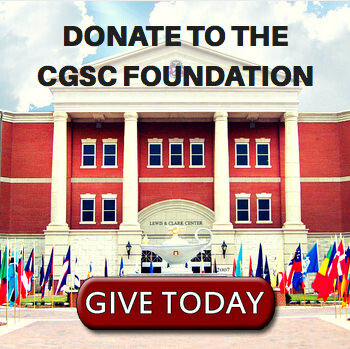 Robert Arter was the founding chair of the CGSC Foundation in December 2005. He served nine years as the head of the foundation, retiring from the position in September 2014, ceding the job to Lt. Gen. (Ret.) John Miller. Arter joined the Army as an infantry officer in 1950 after graduation from Ohio University. He served with the 25th Infantry Division in Korea in 1952 and commanded the 1st Battalion, 506th Infantry in the 101st Airborne Division in 1968 in Vietnam. He later commanded the 1st Brigade of the 101st in 1971 in Vietnam. He was promoted to brigadier general in 1973 and served as the commanding general of the Third ROTC Region. From 1975-79, he was the deputy commanding general of the U.S. Training Center and Fort Ord; assistant division commander of the 7th Infantry Division; and also served as the deputy commandant of U.S. Army Command and General Staff College here at Fort Leavenworth. In 1979, Arter was promoted to major general and served as commanding general of the United States Army Military District of Washington, followed by service as the commanding general of the U.S. Army Military Personnel Center. Arter’s last assignment was as commanding general of the Sixth United States Army. He retired in 1986 and went on to a second career in the banking industry with Armed Forces Bank in Kansas City while also serving in numerous military and philanthropic organizations. He is also a member of the Fort Leavenworth Hall of Fame. Arter and his wife Lois reside in Lansing, Kansas. CGSC Foundation Chair Mike Hockley presents an eagle statuette to Maj. Gen. Jørgen Høll from Denmark during the induction ceremony for the CGSC International Hall of Fame on March 1, 2018. Each inductee of the IHOF receives a statuette and Life Constituent certificate from the CGSC Foundation. Michael D. Hockley was a founding member of the Foundation’s board of trustees in December 2005, was elected board president in March 2013 and elected board chair in August 2017. Hockley served as an Army infantry officer upon graduation from the United States Military Academy at West Point, N.Y., in 1973. He served in the 25th Infantry Division and attended law school beginning in 1977. As a member of the Judge Advocate General’s Corps, he served at Fort Campbell, Kentucky and later as an assistant professor of law at the U.S. Army Judge Advocate General’s School. After leaving active duty, he served in the U.S. Army Reserve, where he completed his service as a lieutenant colonel. Hockley is currently an Environmental Partner with Spencer Fane, LLP, a full service law firm, and splits his time between Spencer Fane’s Kansas City, Missouri and Overland Park, Kansas offices. 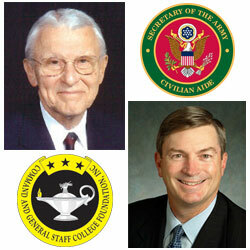 He also serves on the Board of Directors for Armed Forces Bank and is active in numerous civic organizations. Hockley and his wife Kathy reside in Overland Park, Kansas. We salute Lt. Gen. (Ret.) 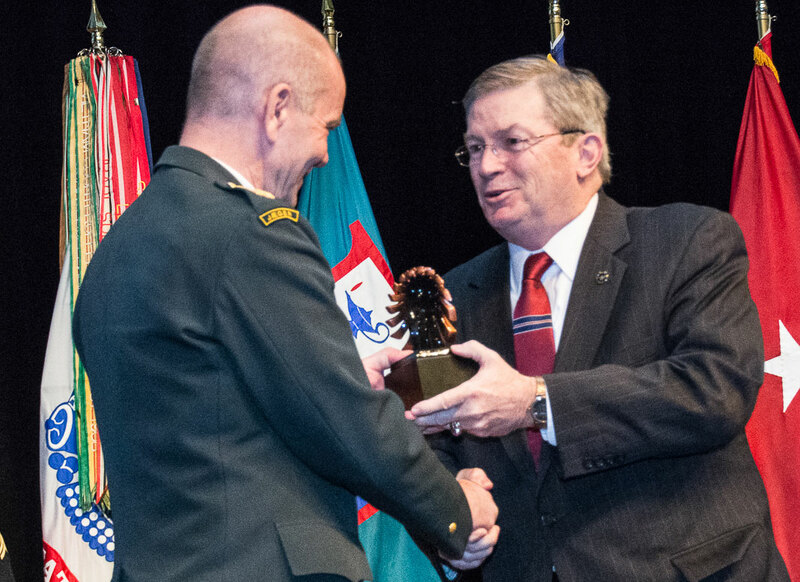 Robert Arter and Michael D. Hockley for their outstanding leadership, their support and service to the CGSC Foundation and their willing to serve the best interests of the College and the Army. – They are truly deserving of our recognition as “Persons of the Month” for April 2018.